Camp Ramah in New England is thrilled to announce the return of Kishroniyah for all 2018 Tzad Bet (B-Side) hanichim (campers)! Kishroniyah comes from the Hebrew word Kisharon, or “talent.” We have invited specialists in a wide variety of fields to join us at camp to run intensive multi-day programs for our Tzad Bet campers. These programs will be high-level offerings, giving our hanichim a chance to engage in an intensive way with the option that best fits their personal interests and skills. In order to allow each hanich/ah (camper) to receive as much personal attention and instruction from their group’s specialist as possible, we will be keeping the group sizes small, averaging ten kids in each Kishroniyah group. As you scroll down, you will find descriptions of the incredible array of programs being offered this year. For Magshimim and Bogrim, Kishroniyah 2018 will run from August 1-3. For Machon and Nivonim, Kishroniyah 2018 will run from July 29-August 1. All 2018 second-session campers and parents, please be sure to click on the link in the e-mail you received from us, in order to submit your choices to us before June 1st, 2018! Todah! 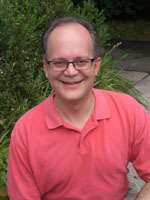 Please contact Simon Luxemburg, Senior Program Staff-Member, at SimonL@campramahne.org with any questions. Making music without instruments provides a fantastic way to express one’s love for communal singing. Our performance-oriented goals are to learn a small (3-5 songs) repertoire that can be performed in multi-part harmonies. As a culmination of the program, we will perform in front of all of Tzad Bet (B-Side) and record an album of our music that each participant can have to keep! Amichai Margolis is currently the Musical Director of the Solomon Schechter Lower School of White Plains, NY. He is also the Musical Director of the JCC of Harrison, NY. Amichai founded and directed the Jewish a cappella group Kol B’yachad at Brown University. He also arranged and sang with Pizmon from Columbia University & JTS. Ami is the Rosh Shira at Camp Ramah in Nyack, NY, and he was the Rosh Shira at Camp Ramah in New England from 1998-2005, where he broadened the musical repertoire of the camp as well as directed the staff a cappella group. He currently lives in Orangeburg, NY with his wife, Kari (whom he met at Camp Ramah) and their two children, and he owns and operates “Joyful Studios” on the side. Ami is the leader of the “Amichai Margolis Band,” and his debut album is called “Orah V’Simcha — Light and Joy.” His music can be heard at: http://tinyurl.com/Amichaim. Learn how to play from the pros during an intensive “Camp Within A Camp” Basketball Clinic run by coaches from the acclaimed Basketball Stars of New York program! With coaches who played at universities such as Harvard, Colgate, Seton Hall, UMASS, Drake, Princeton and others, you are sure to leave the program a more confident and capable player! The program will teach the fundamentals of the game, and the coaches will work individually with participants on any skills they would like to improve upon. Dave Brown began his college playing career at Division 1’s Colgate University. After two years, he spent a few weeks in Mexico City playing for Team USA in the Maccabi Games where he earned a Gold Medal in the Open Division for Men’s Basketball. Following the Summer, he moved on to Division III powerhouse Connecticut College in the NESCAC’s. Upon graduation, David returned to the Maccabi’s, this time in Chile where he was part of a Silver Medal team effort. Shortly thereafter he began his coaching career at Collegiate High School followed by a jump to the college ranks at John Jay College and then Susquehanna University before joining the New Jersey Nets. His summers have been spent at Basketball Stars of NY Camps. 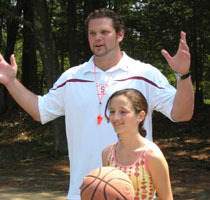 Coach Brown is excited to bring the Basketball Stars of NY experience back to Camp Ramah! This program is an introduction to cooking and baking, with an emphasis on healthy Jewish and American food. The participants will learn how to make specific dishes as well as learn the skills that will enable them to read recipes, plan meals and then prepare them. There are discussions about nutrition and manners as well. Everyone will take home a cookbook containing all the recipes they are taught. Participants will learn to cook dishes they already recognize and like, plus some things they may not have tasted, to expand their experiences with food. On each day of the program, the campers will learn main courses, side dishes and desserts, as well as several soups and salads. The cupcake-decorating session is particularly popular, as is the annual cooking and baking competition where participants are divided into teams and get to show off their unique skills. 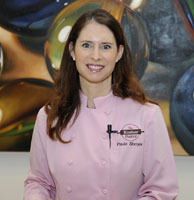 Paula Shoyer, known as “the kosher baker,” is the author of The Holiday Kosher Baker, The Kosher Baker, The New Passover Menu, and the Healthy Jewish Kitchen. She is a freelance writer for The Washington Post, Whisk by Ami, and Jewish Food Experience. Paula graduated from the Ritz Escoffier in Paris and teaches cooking and baking classes across the United States and around the world. Paula does large-scale baking and cooking demonstrations for Jewish organizations, synagogues, and Jewish book festivals. Paula has appeared on Food Network’s Sweet Genius, as well as 30 other shows. Paula also develops recipes for kosher food companies. In 2015, she was awarded “Woman to Watch” by Jewish Women International, in 2016 as a “Kosher Food Pioneer.” Paula lives in Chevy Chase, Maryland with her husband and four hungry children. You can find her at www.thekosherbaker.com; Instagram: kosherbaker; Facebook: Paula Shoyer; The Kosher Baker; Twitter: Paula Shoyer. Have you ever wanted to create your own Judaic masterpiece? Now is your chance when you join glass artist and educator Abby Maeir for an interactive hands-on glass fusing workshop. Participants will be able to choose from among a variety of projects, including magnets, mezzuzot, necklaces, earrings, and new for 2018: sun catchers and coasters! Also new for 2018: screen-printing on glass! Each camper will learn the art of screen-printing and splash art on glass using powdered glass and stencils. This technique can be used on all projects that are planned. In addition to all of the individual projects, participants will collaborate to design and create a collection of glass garden art that will be displayed around camp. No previous glass experience is necessary. Abby Maeir, Rosh Omanut at Camp Ramah Wisconsin, is thrilled to be returning for her second Kishroniyah. Abby is a Chicago-based artist & art educator whose passion for the arts dates back to her youth when she vividly recalls creating woven potholders and box-stitched lanyards at the Pittsburgh JCC. Abby embraces all types of art but loves teaching Kiln Formed Glass (aka Fused Glass) and Hand-Stamped Metalwork to children and adults as well as facilitating team-building workshops that inspire confidence and creativity. Abby is an Artist-in-Residence at Ramah Darom and Ramah Day Camp (suburban Chicago) where she inspires both campers & staff to create colorful, one-of-a-kind glass and metal pieces. Abby believes there’s an “inner artist” in all of us and is excited to welcome you to her workshops. 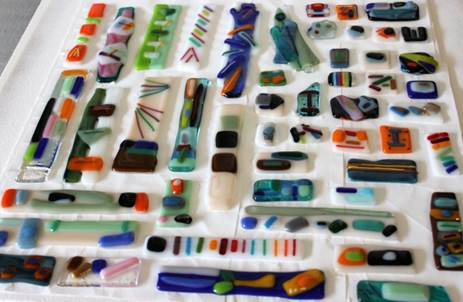 The Glass Fusing Workshop has been generously subsidized by the David Farbman Kishroniyah Fund. In this program, participants will have an opportunity to create their own jewelry with Sandra! The focus of this program will be on beading. This year we will feature the Ndebele and Peyote stitches. We will make bracelets and rings. The possibility of color combinations is endless and undoubtedly will produce many wonderful pieces! Sandra Ostroff has always enjoyed crafts, starting with pot-holders on a frame when she was very young! She began knitting in high school and needlepointing when her children were young. Many years later she still enjoys knitting and needlepointing. Several years ago she discovered beading. Sandra was born and raised in the Seattle WA area. After graduating from the University of Washington, she taught elementary school. Since retiring, she has enjoyed pursuing her passions: beading, golf, yoga, and hiking. She is very excited to share her love of beading with our Kishroniyah participants! Do you love to paint? Would you like to help leave your mark on camp? The Ramahniks who sign up for this workshop will have an opportunity to design and create a colorful outdoor mural that will help beautify camp for years to come! Participants will experience the entire mural process from design conceptualization to priming to painting. This specialized arts workshop will engage you in creating collaborative community art as you explore and develop your artistic talents, skills, and interests. Note: no prior art experience is necessary to participate in this session, just come ready to create, have fun, and get messy! Tova Speter is an artist, art therapist, art educator, and arts consultant based in Newton, MA. 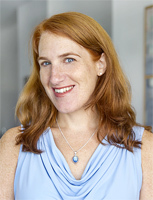 She specializes in working with adolescents, and has more than fifteen years of experience leading community mural projects in the greater Boston area and internationally in Argentina, China, Panama, and Israel. Find out more about Tova’s work (and see pics from past Ramah collaborations) at: www.tovaspeter.com. Tova also has a private practice offering art therapy and mental health counseling services; works as a consultant with congregations interested in exploring innovative ways to infuse more arts-based experiences into their programming; and is the founder and director of The MEM Project, a Boston-based venture that engages individuals through the artistic process as a means to explore Jewish identity and encourage connection with under-served communities through collaborative mural projects. Find out more about The MEM Project at www.thememproject.org. We all have our own stories to tell! In this fun and immersive course, participants will explore their creativity by writing and acting in ​their own short plays. Incorporating acting and writing exercises, this course is for the writer who has always wanted to act, or the actor who has always wanted to write. The course will end with performances of ​your own original scenes or monologues. No experience necessary. Robots are in the news everyday. Companies and universities around the world are inventing and designing so many different robots to do so many things, including working in factories, searching for earthquake victims in collapsed buildings, performing surgery, cooking dinner and cleaning your carpets and gutters. This workshop will use Lego Mindstorm robot kits to explore robotics and software. Designed for students and hobbyists, the Lego kits can be assembled, disassembled and re-assembled into five different robot styles — a car, a puppy, a crane, a machine to sort objects by color and GyroBoy/GyroGirl (who drives around while balancing on two wheels). As described by Lego, “Create and command robots that do what you want. Unlease the creative powers of the new LEGO MINDSTORMS EV3 set to create and command robots that walk, talk, think and do anything that you can imagine.” We’re going to build the different robot styles, learn to control them, and then see what we can make them do as we challenge each other in obstacle courses and other competitions. Phil Glick is an engineer with his own business, QED Robotics. Educated as a mechanical engineer and a manufacturing engineer, Phil has spent most of his 34-year career writing software for industrial robot systems to be used in factories around the world. His work can be found in automotive, electronics, medical and pharmaceutical, aerospace and food businesses. Phil’s projects are in locations throughout the US, and also in Canada, Mexico, Europe and Asia. Among his cool projects are robots to paint the Stealth Bomber, robots to build cell phones and Bose music systems, robots to make cosmetics and package the cookies for ice cream sandwiches and robots to build parts for Ford and Chrysler cars. If you have ever had an injury that required stitches, there is a good chance that Phil programmed the robots and cameras to make the needle. 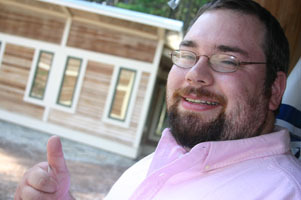 As a parent of a Ramah graduate, he is excited to be part of the camp experience. Do you love tennis? Then take this chance to improve your skills! This clinic will be appropriate for campers who have tennis skills from the beginner through advanced levels. For beginners, fundamental tennis skills will be taught and practiced, such as serving, forehand, and backhand strokes. For the more advanced campers, a progression of higher level tennis skills will be taught and practiced. Strategy for singles and doubles play will also be emphasized. Come join us and work to improve your tennis game! Rose Weinstein is a former elite tennis player who has over 25 years of teaching experience. Rose is currently the Head Tennis Coach at Penn Charter High School in Philadelphia, where she has coached many players who have gone on to play college tennis. She was the US college coach for the Maccabi games in Sydney, Australia, as well as the Pan-Am games in Buenos Aires. Rose has been coaching Maccabi teams from Philadelphia, PA for the past 21 years. In 1999 she was inducted into the Philadelphia Jewish Sports Hall of Fame. Rose is an active member of the USTA Middle States Association, and in 2006 received their prestigious Mangan award for her achievement and service. 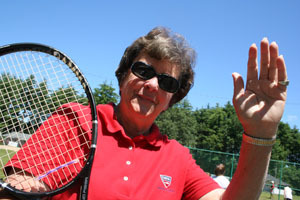 Rose has taught numerous tennis clinics for athletes of all ages and skill levels. The Tennis Clinic has been generously subsidized by the Sandy Remz Kishroniyah Fund. Hone your skills with our Ultimate Frisbee clinic! Ultimate Frisbee was started at Columbia High School in New Jersey in 1968 and is now played in countless schools, colleges and clubs around the country and the world. Even at the highest levels of the game, Ultimate is played without referees, instead relying on the honor of each player to abide by the rules (a concept known as The Spirit of the Game). Because of the free-flowing nature of the sport, Ultimate encourages all players to be involved in the action. Each player has the opportunity to be a thrower, receiver and defender in every game. During the sessions at Camp Ramah, players will be instructed in the rules, skills and strategies of the game. Each day will include scrimmages where the campers get a chance to practice what they have learned. For more information about the sport of Ultimate, go to the website of USAUltimate at www.usaultimate.org. 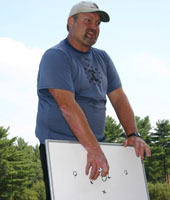 Rick Atkins has been playing Ultimate Frisbee since 1979 when he joined the team at the University of Pennsylvania. During his many years in the game, he has participated in numerous World and National championships, winning several titles over the years. His team placed second in the Masters division at the 2006 World Championships in Perth, Australia. He has been a captain in the Philadelphia co-ed summer league since its start in 1985 and has organized many leagues and tournaments in the Philadelphia area. Since its inception in 2005, Rick has been a lead instructor at the Philadelphia Ultimate Camp of Philadelphia, and he runs several youth Ultimate Frisbee camps in the Philadelphia area. In the spring of 2011, Rick started the first middle school Frisbee team in Philadelphia. Rick lives in Wayne, PA with his wife and two children. The Ultimate Frisbee Clinic has been generously subsidized by the Guitelman family in memory of Josh, z”l. To sign up for Kishroniyah, please be sure to click on the link in the e-mail you received from us, in order to submit your choices to us before June 1st, 2018! Please contact Simon Luxemburg, Senior Program Staff-Member, at SimonL@campramahne.org with any questions.